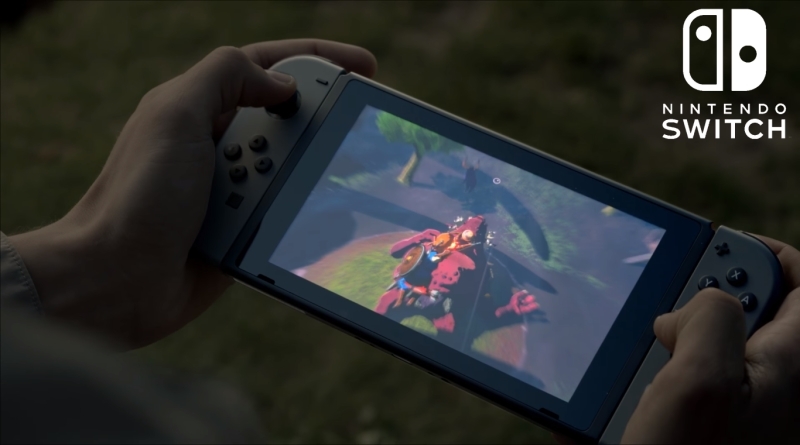 Nintendo plays its hand with the new Nintendo Switch, a next generation console. Today in Things You Need to Know About Nintendo Switch, FunkyVideoGame brings you 5 important things that you should know about the Nintendo Switch. I’m really excited about this new console from the Nintendo. I’ve always been and always will be a Nintendo kid at heart. Nintendo consoles welcome me into the gaming and even though the most recent consoles might not be to everyone’s liking, I’m still always going to be there to see what Nintendo has to offer. Just to avoid any confusion, Nintendo Switch is the Nintendo NX. NX was the code name for the project and Switch is what it’s really going to be called. The name, Switch, really reflects the console because that’s how the console is intended to be used. When you are at home the Nintendo Switch sits on a dock that connects the system to your TV and lets you play games on the big screen. But when you lift the Switch out of the dock, the system will automatically transition to a portable mode and you can continue playing the game on the go. Think this console like a Wii U but far more powerful. But this doesn’t end here, It’s not just a tablet. Nintendo Switch is a proper handheld console. On the side of the Nintendo Switch there are two detachable Joy-Con controllers, by the way that’s what they’re calling them. These controllers can slide onto either side of the Switch that resembles the Wii U. However, these Joy-Con controllers can also be detached from unit for solo playing while Switch sits in an upward position. Or alternatively, you can give one controller to your friend as a stand alone controller to enjoy multiplayer. More than two Joy-Con controllers can also be used to play some sports games where supported. Furthermore, there’s Joy-Con pad mount that allows you to slide controllers into form a more conventional shaped controller. There’s also a proper/normal controller for the Nintendo Switch. You guys may be asking a question that well this tablet is cool will this has a regular controller for some of my games? 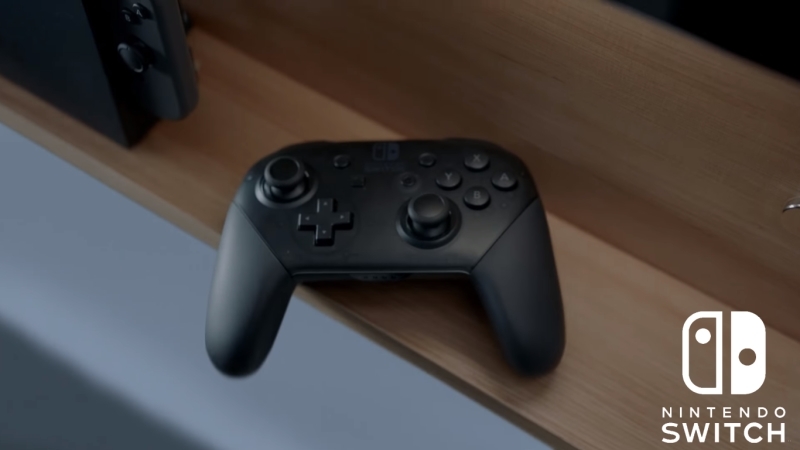 Well, it just so happens that you can use a regular controller, Nintendo Switch also has a regular controller which looks pretty similar to a pro controller that you get with the Wii U. 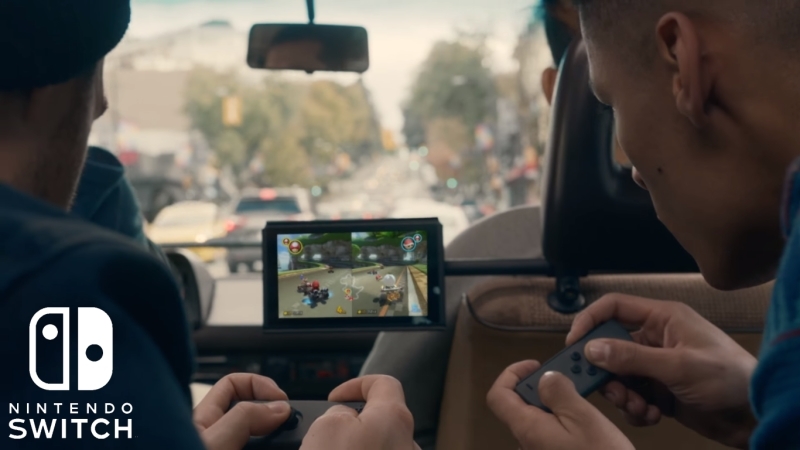 If you want to sit in your home and enjoy a gaming session the conventional way, then the Switch has you covered. Up until now, one of the things that Nintendo has always struggled with is third part support. There first party titles are outstanding and always have been. But without sufficient third party support, any console is going to suffer. This time around however, Nintendo seems to be doing thing right. Plus during the trailer of Nintendo Switch, there are some great games showcased. Most of them are of course Nintendo games but one that stands out in particular is Skyrim. 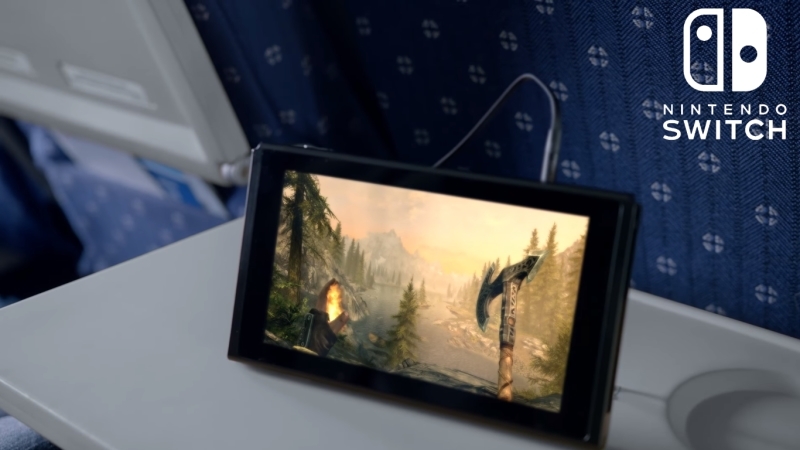 Playing Skyrim on-the-go is definitely going to be a pretty amazing experience. Of course the First Part Titles will always going to be there, but in Switch trailer alone we got a glimpse at a new 3D Mario game. I’m really excited for this game because it’s been awhile since we have a good 3D Mario game on console. We also got a look at what seems to be a new version of Mario Kart 8. In this game we saw some previously unplayable characters like King Boo. And of course, there are other great games for the Switch. So guys these are some things that you need to know about the Nintendo’s next gen console Switch. Well, It’s not clear yet what system they are running on, what is the full spec list and what are the other launch titles. Or How much this unit cost? Is it region locked? etc. but we will find out more in coming days, so stay tuned for more Nintendo Switch News.